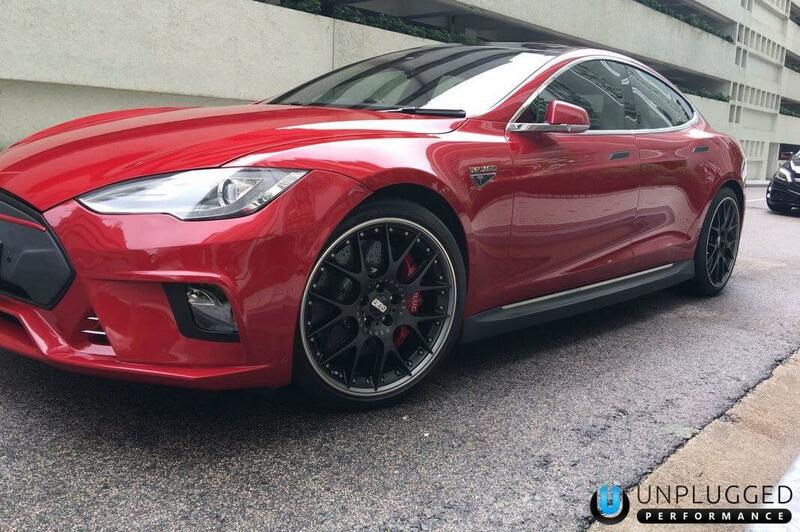 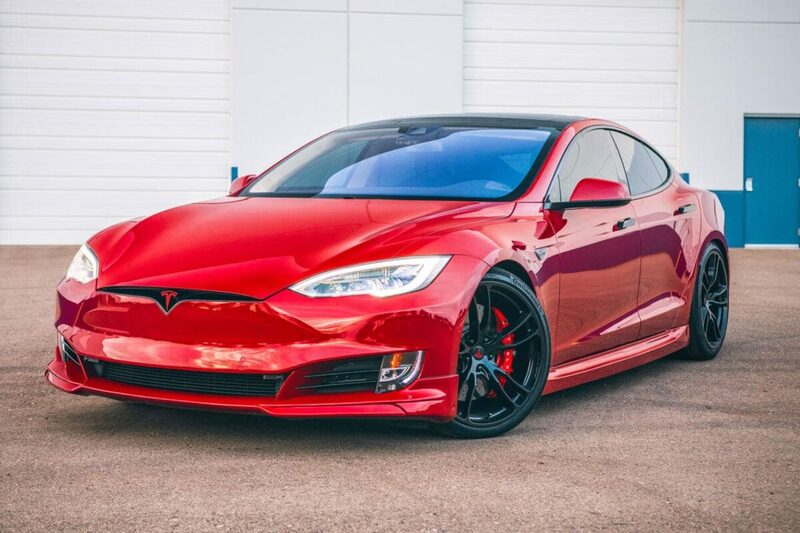 Having driven our Model S quite extensively on twisty canyon roads, as well as at high speeds on the circuit, we learned that the braking system on the Model S are quite good for normal street driving, but had room for improvement when driven hard. 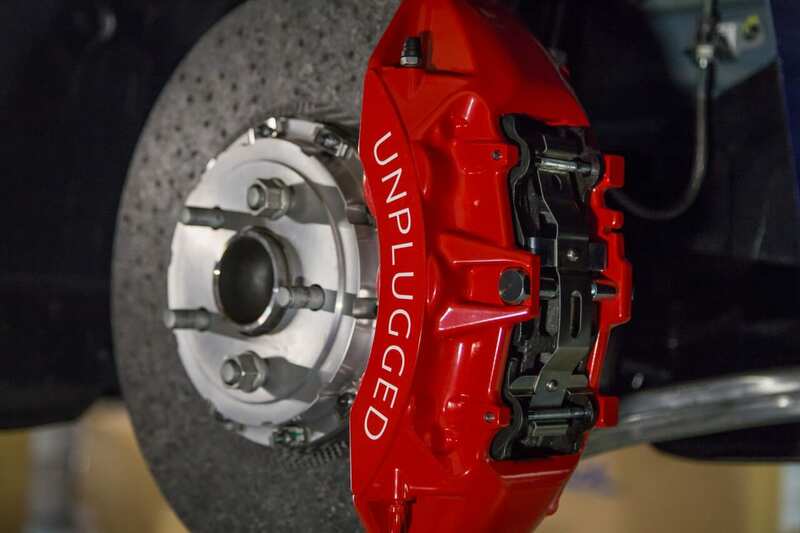 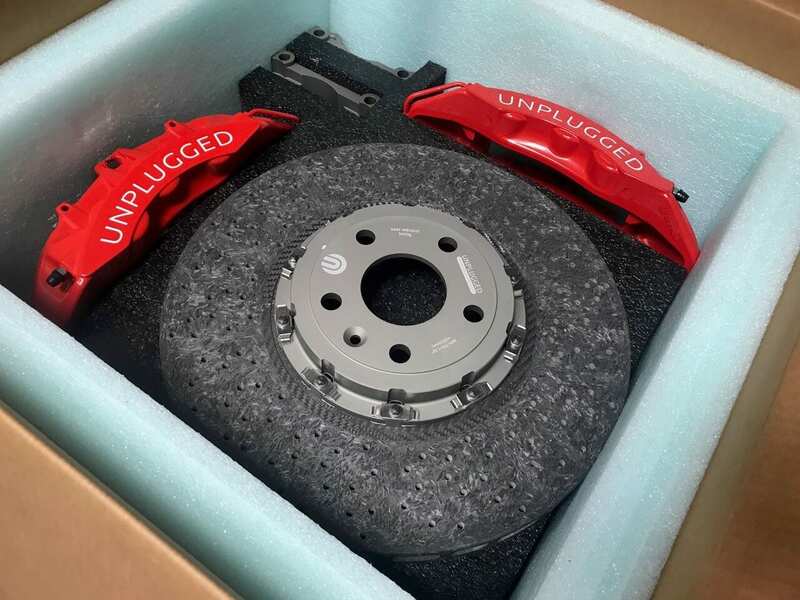 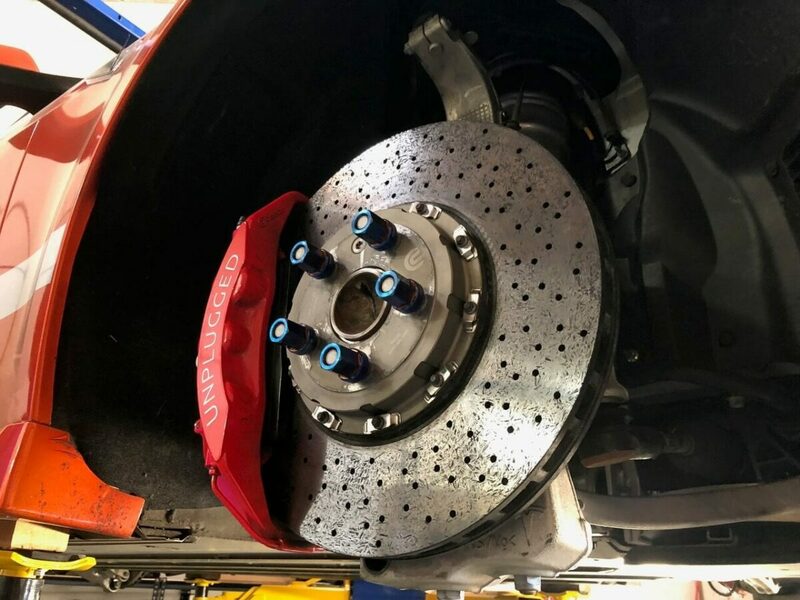 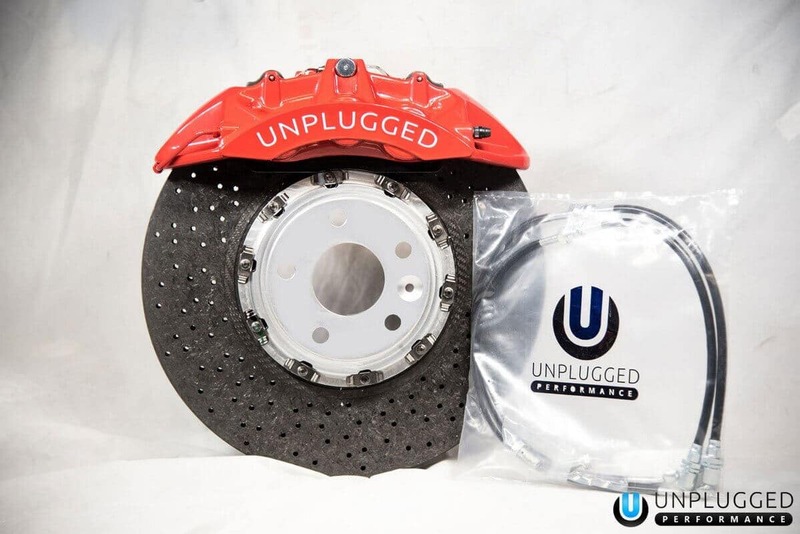 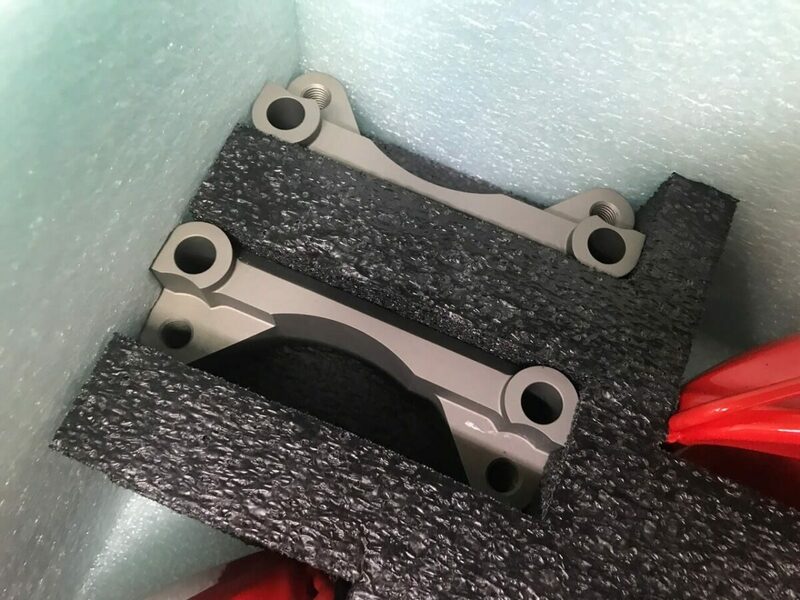 Looking for a solution to not only improve brake performance, but also life, we looked to the sports car world and the carbon ceramic rotor technology present on modern supercars. 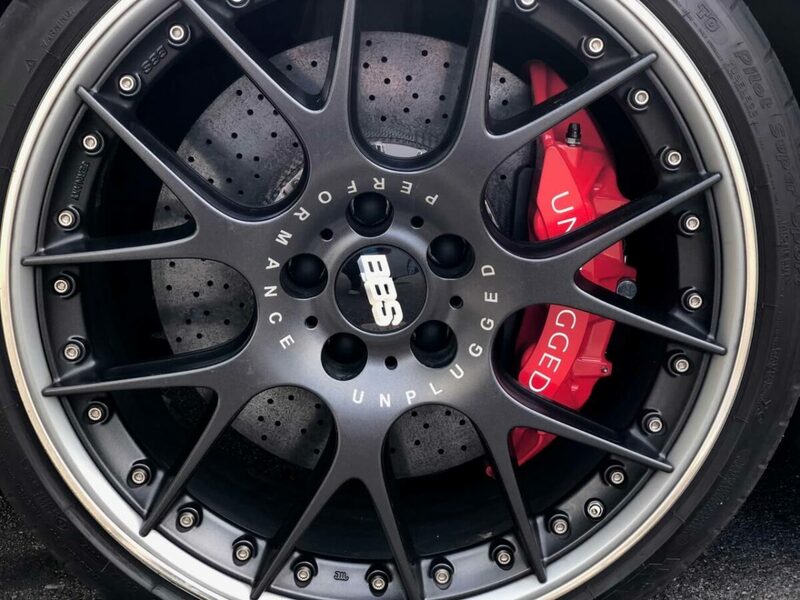 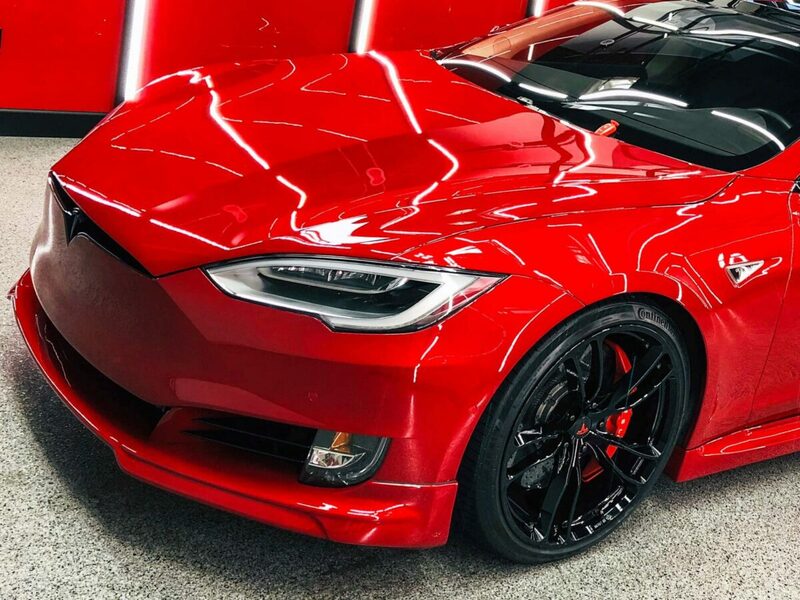 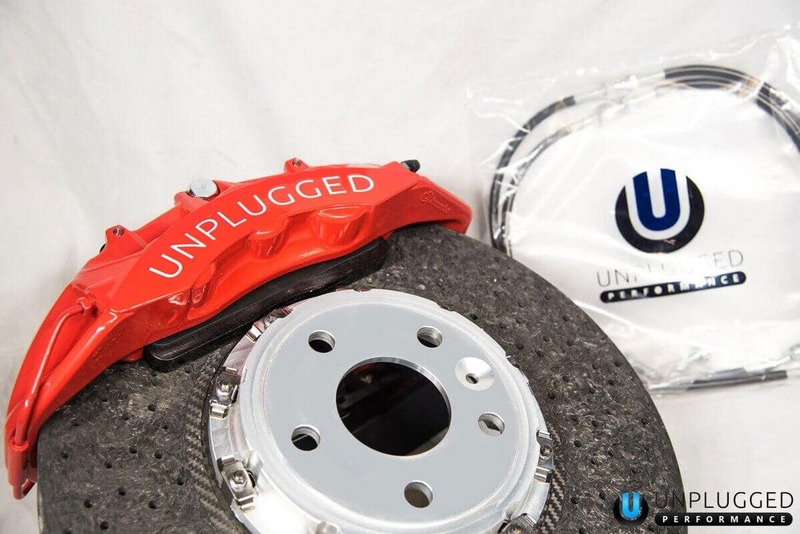 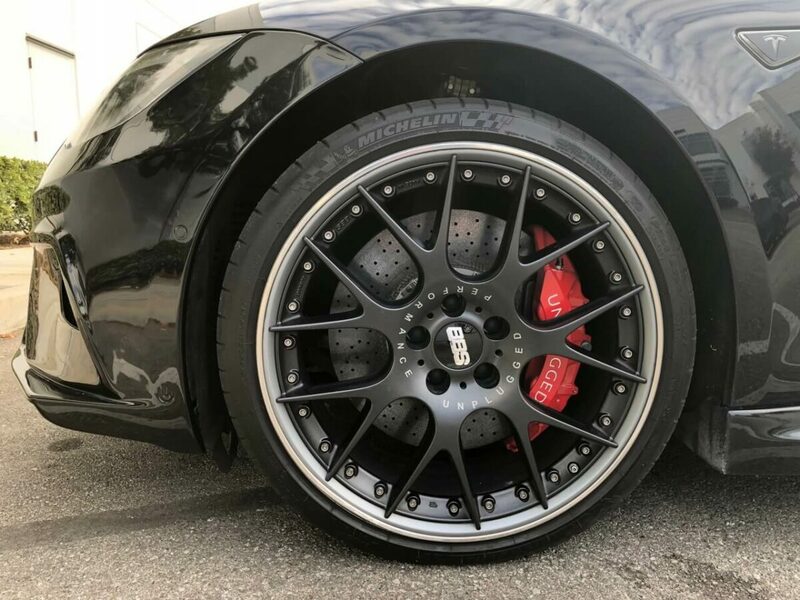 By utilizing carbon ceramic rotors, in combination with massive, 6-piston calipers and stainless steel braided lines, braking distance is reduced and pedal feel is noticeably improved. 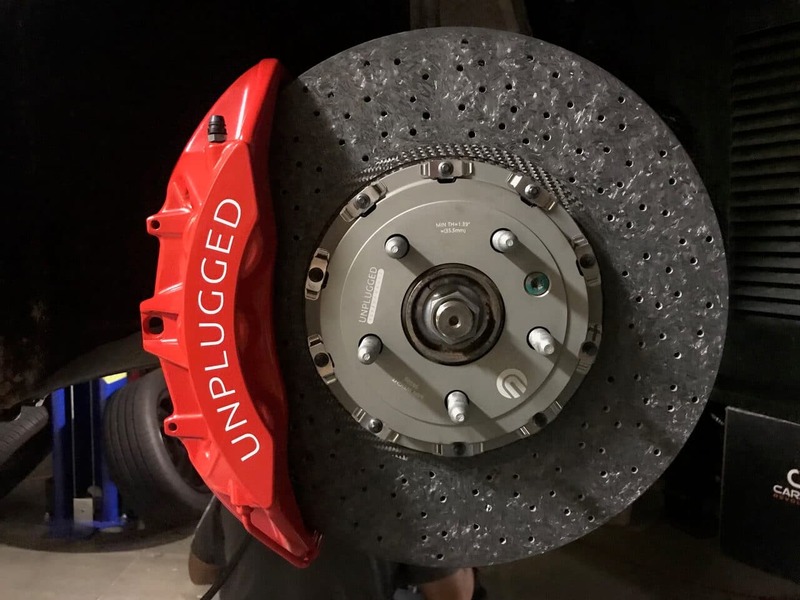 An additional benefit of carbon ceramic rotors is their considerably lower unsprung weight as opposed to traditional iron units. “Unsprung weight” refers to the weight of any component not on the receiving end of the vehicles suspension system (chassis, motors, passengers, etc.). Lower unsprung weight translates to a reduction in the the amount of inertia for the components managed by the suspension, which in turn leads to a more responsive ride and more agile handling feel. 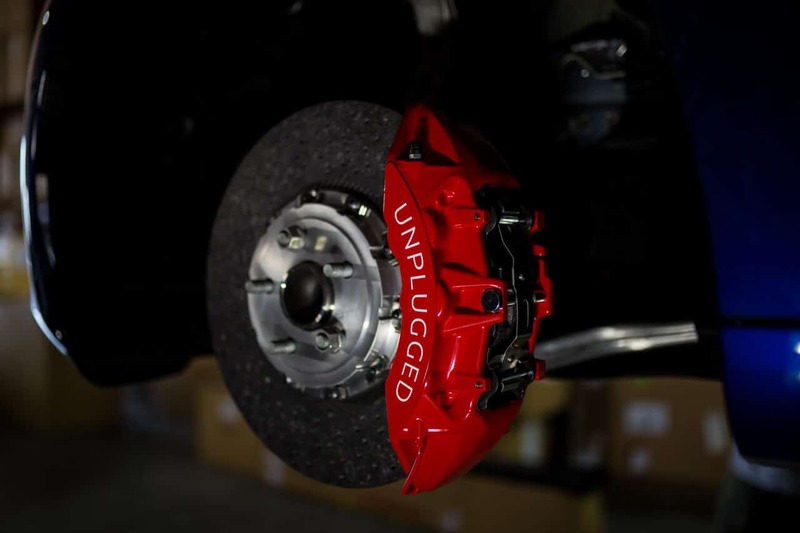 Additionally, reductions to the overall weight of the vehicle help to improve range and efficiency.